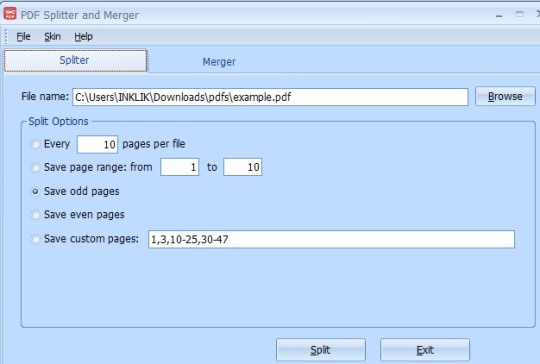 Here are 4 open source PDF merge software for Windows. 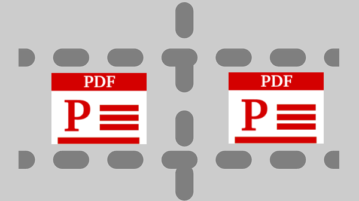 Combining multiple PDF files into a single PDF is very easy using these software. 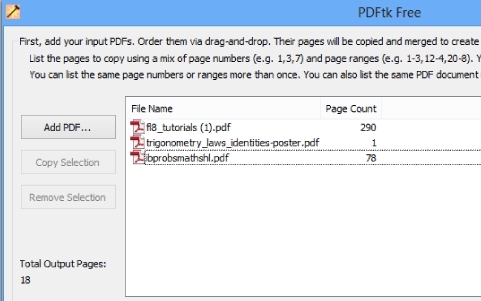 You can also rearrange PDF files to get the output in proper order. 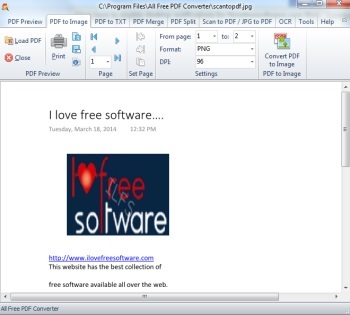 Here are 5 free websites to merge JPG files to PDF file. You can add JPG images from PC and/or Google Drive or Dropbox, and merge them into a single PDF document using these websites. 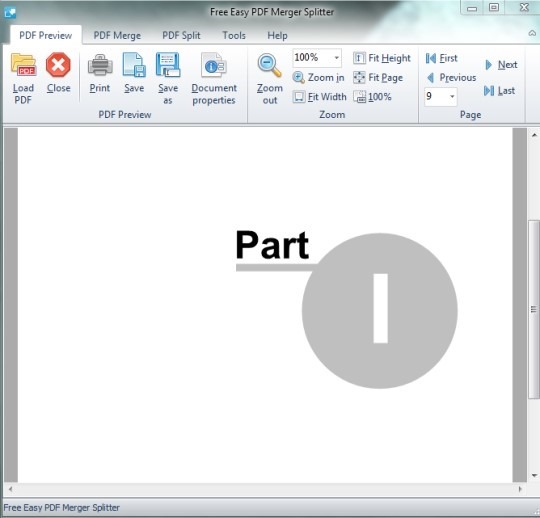 PDF Merge is a free PDF merger software to combine images and PDF files. You can drag n drop multiple images and PDF documents to create a single PDF file. Here is a list of 5 free online PDF mergers. It is a simple platform where you can upload as many PDF files as you want and combine them into one PDF file. 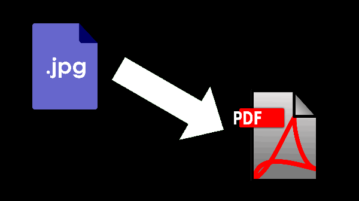 PDFtk is a free software that lets you create a PDF file by merging only selected pages from multiple PDF files. 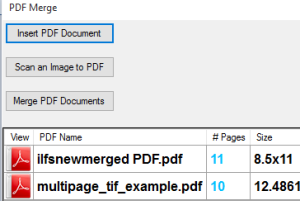 Use separate page range for each PDF. 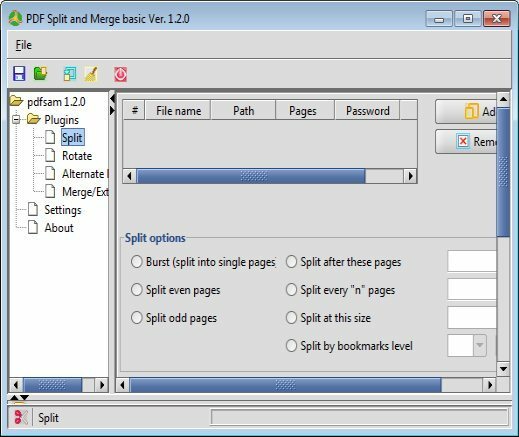 Free Easy PDF Merger Splitter is a handy pdf tool that helps to merge multiple pdf files to create a single pdf as well splits a multipage pdf file. 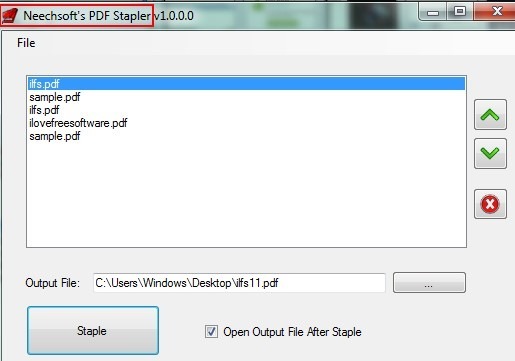 Neechsoft’s PDF Stapler is a portable and free pdf merger that helps to merge pdf files free of cost to create a single pdf. Get it free!